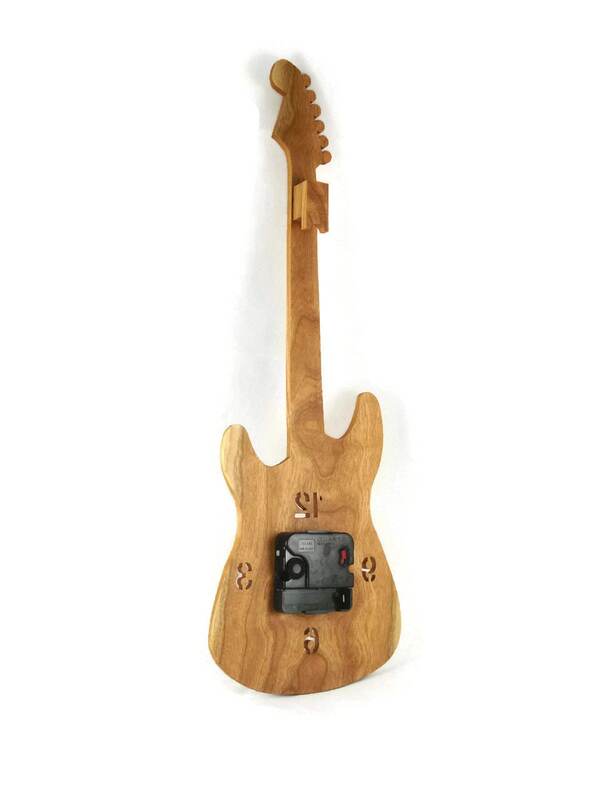 This Fender Stratocaster guitar wall hanging clock features a smaller scale electric styled guitar with the arabic styled number 12, 3, 6, and 9 cut out of the 1/4 inch thick walnut wood. 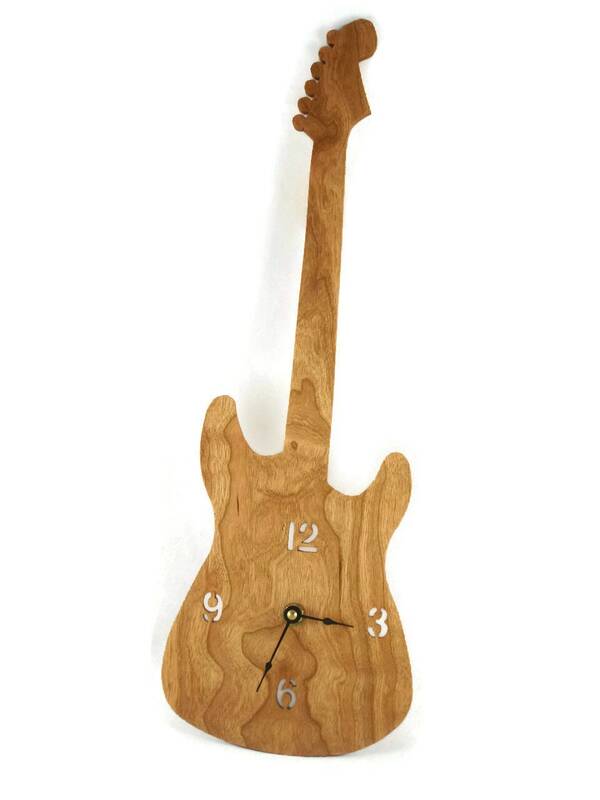 A quartz clock motor is used on this with black hands. 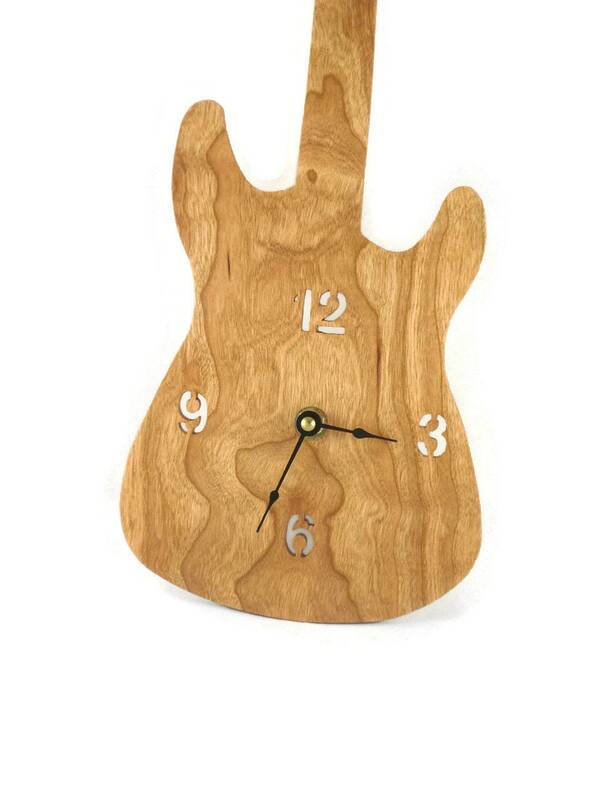 A handmade hanger is glued to the guitars neck for ease of hanging this on your wall. The clock motor requires one AA battery ( Not included ). A natural color Danish oil finish was applied to this to bring out the natural beauty of the wood grain as well as to protect its natural beauty for many years of enjoyment. 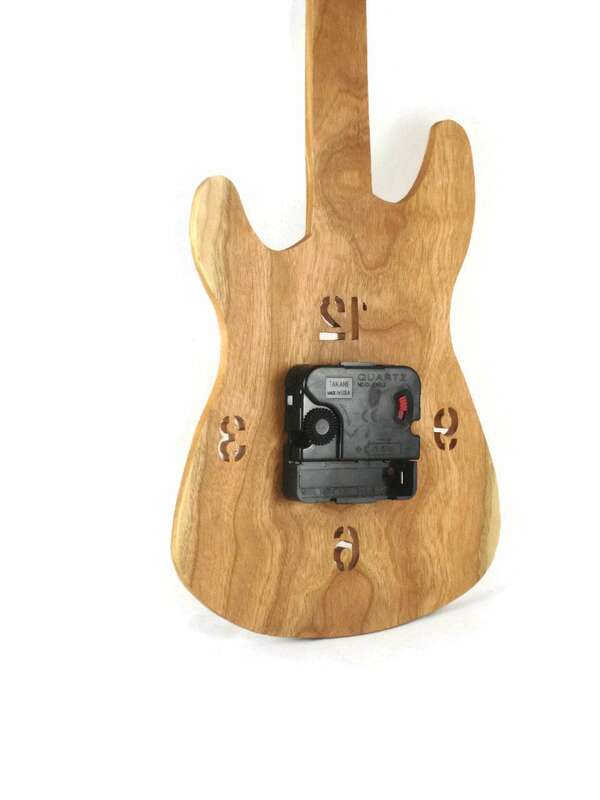 Awesome product, very nicely made. What a craft! 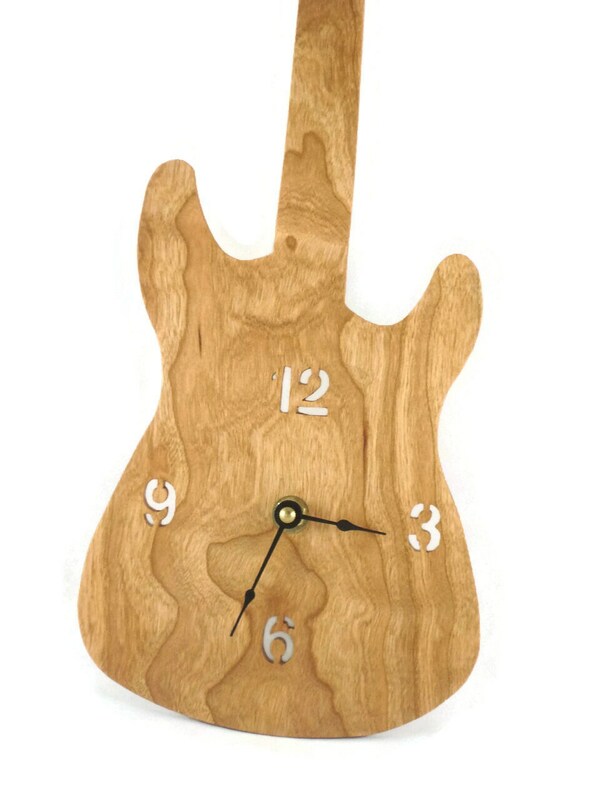 This clock, while given as a Anniversary gift, will be cherished by our whole family throughout the years to come. Thx Kevin! Very well made, my son is going to love it!